A sandy bay popular with families and surfers. The tide at Sandend Bay is currently falling. Low tide will be at approximately 11:40 AM, and the next high tide will be at approximately 6:16 PM. around 9 miles east as the seagull flies, around 11 miles by road. around 3 miles west-northwest as the seagull flies, around 4 miles by road. 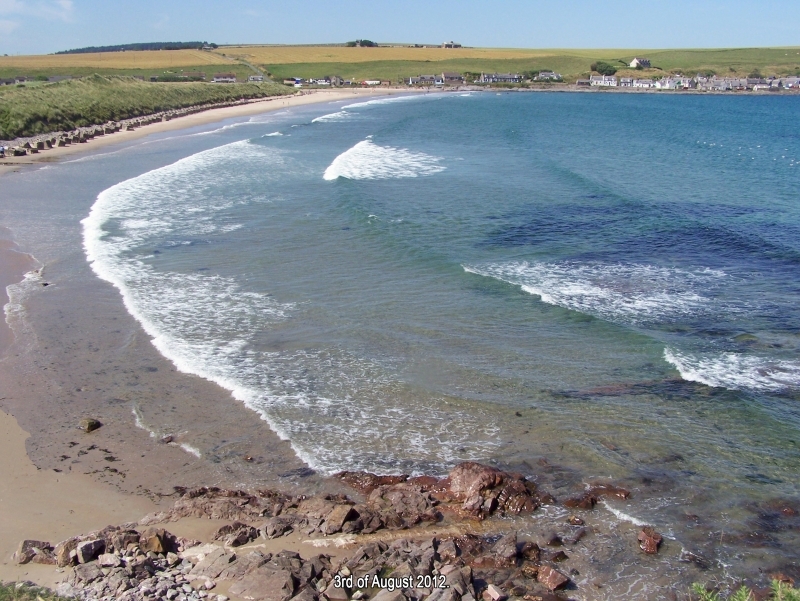 Visitor information for Sandend Bay, Aberdeenshire, Scotland. Weather, tides, visitor comments, beach facilities, photos, nearest postcode, beach information and nearby accommodation.